Top 15 hikes of ’15! Thank you readers for your continued support and encouragement of this website! In 2015, NHLA received more traffic than any other year. 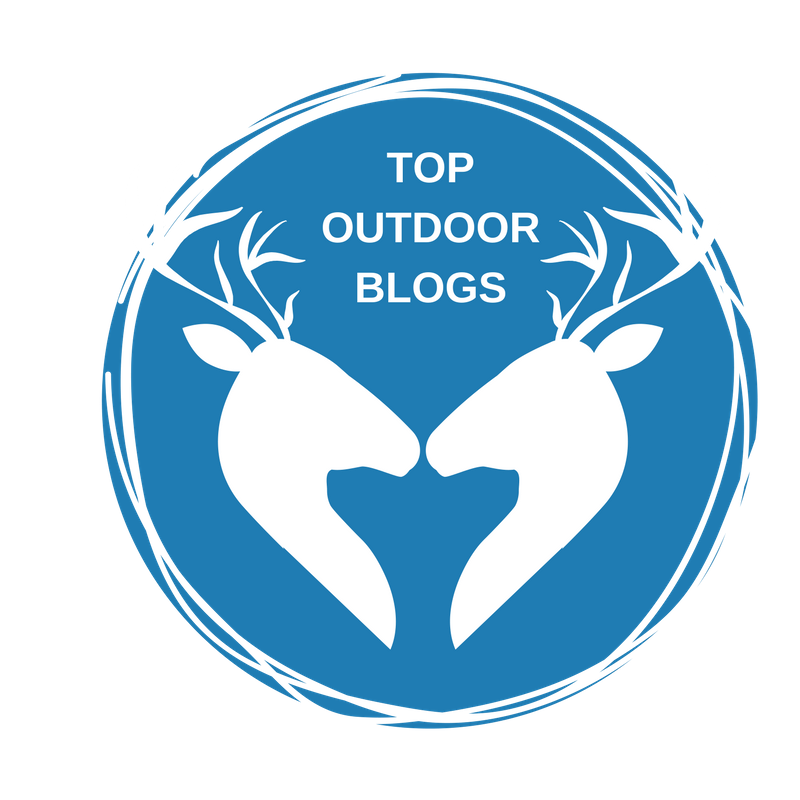 The site continued expanding into the outdoors/hiking community, networking with other sites such as SoleLabz and being featured as a resource by outlets such as Inside Hook, CBS Local, We Like LA and more. 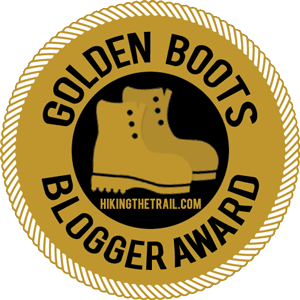 It was an honor to win a Golden Boots award from Hike the Trail. As always too, reader comments and feedback have been helpful and gratifying; it’s always nice to know that this site was able to provide people with accurate information and ideas for new hikes. A record amount of donations helped fund travel expenses for almost 100 hikes, including several new trips in Joshua Tree National Park, Cuyamaca Rancho State Park, the Angeles National Forest and off the beaten path destinations such as Owl Canyon in the high desert. It is in that spirit that Nobody Hikes in L.A. proudly presents the top 15 hikes from 2015. Enjoy! It’s always nice to discover a new trail, especially when it makes the cut as being one of the best of the year. While the McGill Trail isn’t well known, its panoramic views of Lockwood Valley in northeastern Ventura County make it a great place to escape the summer heat. Santa Barbara’s Inspiration Point is an understandably popular spot with hikers from near and far. The challenging and scenic western approach via the Jesuita Trail offers mountain views and secluded canyons to go along with the signature ocean vistas from the ridge crest. Those who think of the San Joaquin Valley as a desolate wasteland might want to give this giant park a look. Located on the north shore of the San Emigdio mountain range, less than a two hour drive from Los Angeles, the Wind Wolves Preserve features a diverse ecological landscape, including spring flowers, a seasonal waterfall, wind-sculpted geology, wide meadows and tall mountains. As one of the more prominent front country summits of the San Gabriels, Josephine Peak’s views include the ocean, the Hollywood Hills, downtown Los Angeles and more, if visibility is good. A steep climb through remote Colby Canyon gives way to an easier couple of miles on a fire road, providing lots of eye candy for the effort. 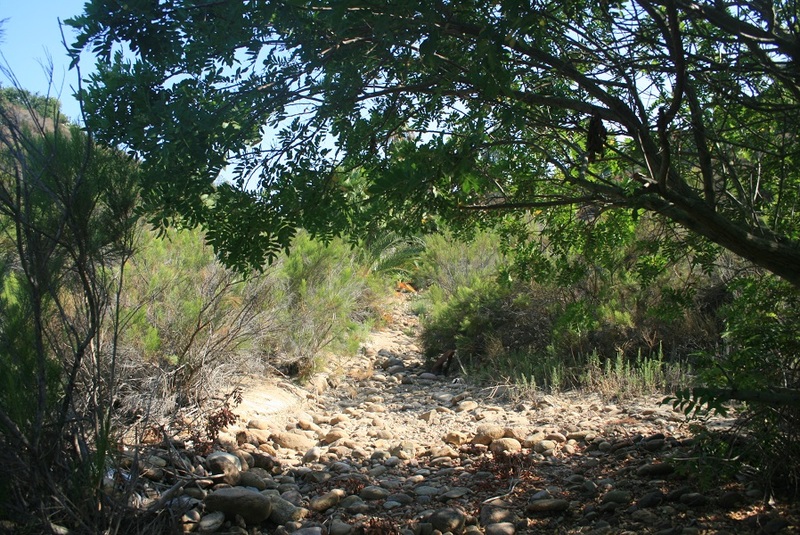 Despite its controversial reputation, this eastern San Diego County hike can be a very enjoyable experience when appropriately planned, especially following recent rains. Even if there’s not much water at Cedar Creek Falls, the dramatic scenery on the descent to the San Diego River makes it a worthwhile trip. 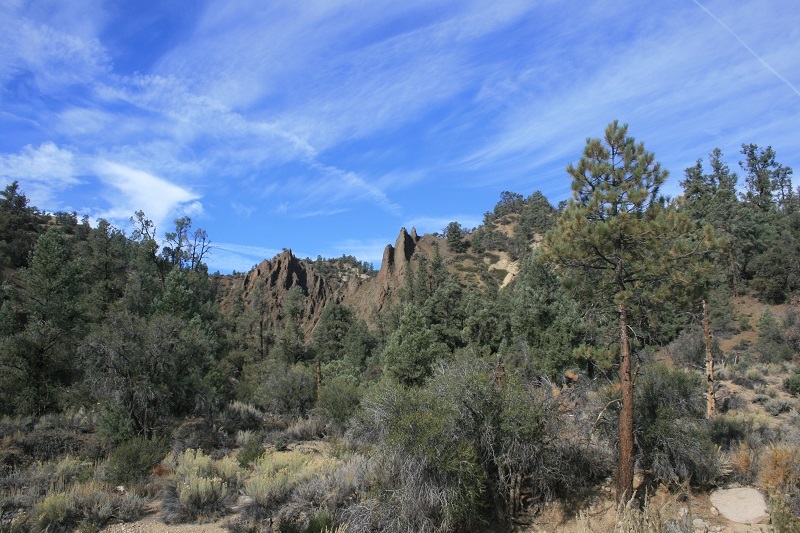 In the southeastern corner of the San Emigdio range, the hike to the Lilly Meadows Trail Camp climbs from high desert plains to conifer-covered mountain slopes. Throw in a seasonal waterfall and some interesting geology and you’ve got a great hike. This hard-to-find waterfall is located deep in a canyon on the remote eastern slope of the San Gabriel Mountains. The hike cuts through some of the range’s most rugged country, rewarding hikers for their efforts with the waterfall and deep isolation. Cuyamaca is the second highest summit in San Diego County and the only major dog-friendly hike in Cuyamaca Rancho State Park. Despite being on a paved road and the prevalence of antennas on the summit, the views on the way up and from the top are hard to beat. 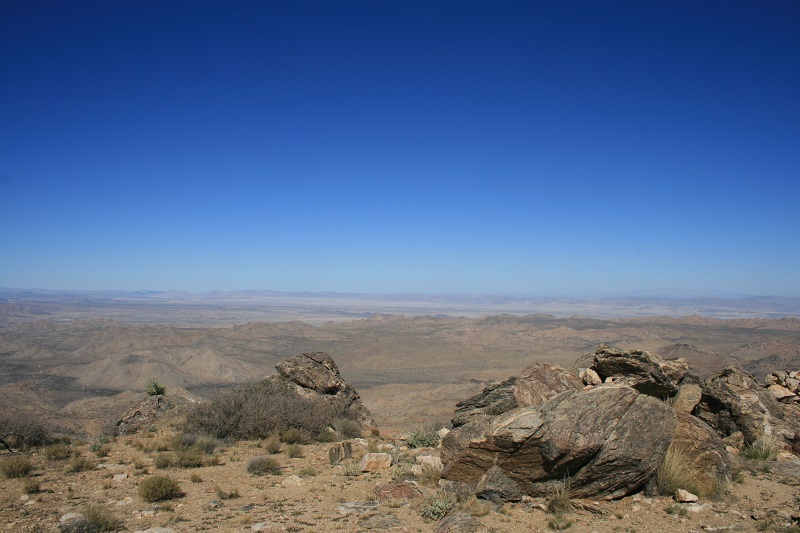 The highest point in Joshua Tree National Park (elevation 5,813) provides a view of the desert, San Gorgonio and San Jacinto. After a leisurely stroll along the California Riding & Hiking Trail, this hike gets down to business, requiring the navigation of a trail-less wash and a steep ridge line. The vistas from the top however are a suitable reward. 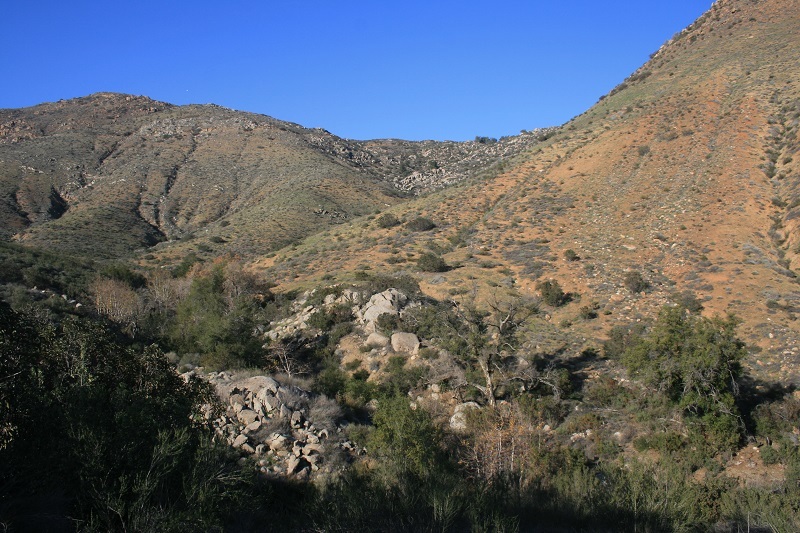 Located fairly close to Los Angeles but surprisingly not well known, Slide Mountain is one of the tallest summits in the western corner of the Angeles National Forest. Hikers can enjoy a 360-degree view from the lookout tower. Like nearby Silver Peak, Gold Mountain offers excellent views of the San Bernardino Mountains and the high desert. From the top, hikers are rewarded with a panoramic perspective of Big Bear Lake. This popular Angeles National Forest front country hike was long made unavailable due to the Station Fire. The 6,164-foot summit is the tallest in the front country, noted for its excellent views – and infamously steep final mile to the top. One of the most scenic peaks in the front country of the Los Padres National Forest, the almost 7-mile hike to this summit near Ojai features great ocean, mountain and canyon views. This historic road once served as the Angeles Crest Highway’s predecessor. It now offers hikers a challenging 9-mile ascent from the San Gabriel Valley to Mt. Wilson, taking in wide-ranging city and mountain views. When in season, the Cosmic Cafe at the Mt. Wilson Observatory allows hikers to reward themselves with a snack before heading back down. 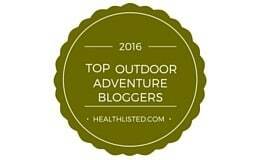 And the number one hike posted on http://www.nobodyhikesinla.com in 2015 is…. It may test your patience and morale; it may violate any romantic notions you have of backpacking; it may make you resent the selfie-taking tourists in Avalon who have no idea what lurks in the island’s back country. However, for hikers who truly want to push themselves, the Trans-Catalina Trail is a one of a kind experience.